Releasing on September 9th on Shadow Mountain Records for Deseret Book, Where My Heart Belongs finds Knight once again returning to gospel music to share her faith, inspire listeners, and testify to God’s goodness throughout her personal life and career. Georgia-born Gladys Knight is no stranger to gospel music. The beginnings of her multi-decade, illustrious career began within the stained glass windows of the church. From an early age she sang in the church choir. She attributes her mother’s faith to her initial encounter and connection between Christ and music. Knight is eager to share her testimony and gospel message with her fans through the new CD. She hopes that the music and message will inspire and ignite an encounter with Christ that she knows firsthand has the power to change lives forever. Throughout the eleven tracks on Where My Heart Belongs, Knight delivers one inspirational performance after another. Tracks like “Life Song”, with a cleverly-crafted mix of traditional and contemporary music, and the classic soulfulness of “Soon” remind listener that the Lord is always there. 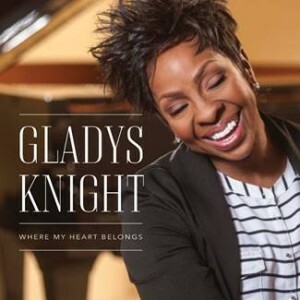 This entry was posted in Gospel and tagged CD, Gladys Knight, Gospel, Where My Heart Belongs by Kris Patrick. Bookmark the permalink.